"Summer comes to a crashing end…"
Summer Crash (Zerralon 1.1) has not been tagged yet. 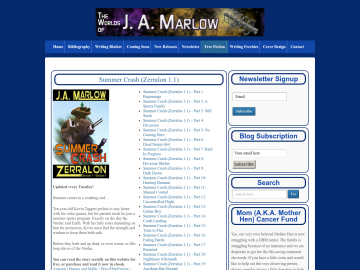 Help others find Summer Crash (Zerralon 1.1) by tagging it! Summer Crash (Zerralon 1.1) has not been reviewed yet. Summer Crash (Zerralon 1.1) has not been recommended yet.